Compete in style in the Ziland Team Football Shorts. A stylish, match quality short. Elasticated waistband with drawcord fastening. Printed Ziland 'Z' logo on lower left leg. Micro+ quick dry fabric helps wick sweat away from the body. Z-Cool-Heat is a new unique fabric that works to optimise body temperature in both warm and cool conditions, quick dry fabric to wick sweat away from the body. Have been buying these shorts for a number of years now, and they continue to be excellent quality, wash well, and wear well. 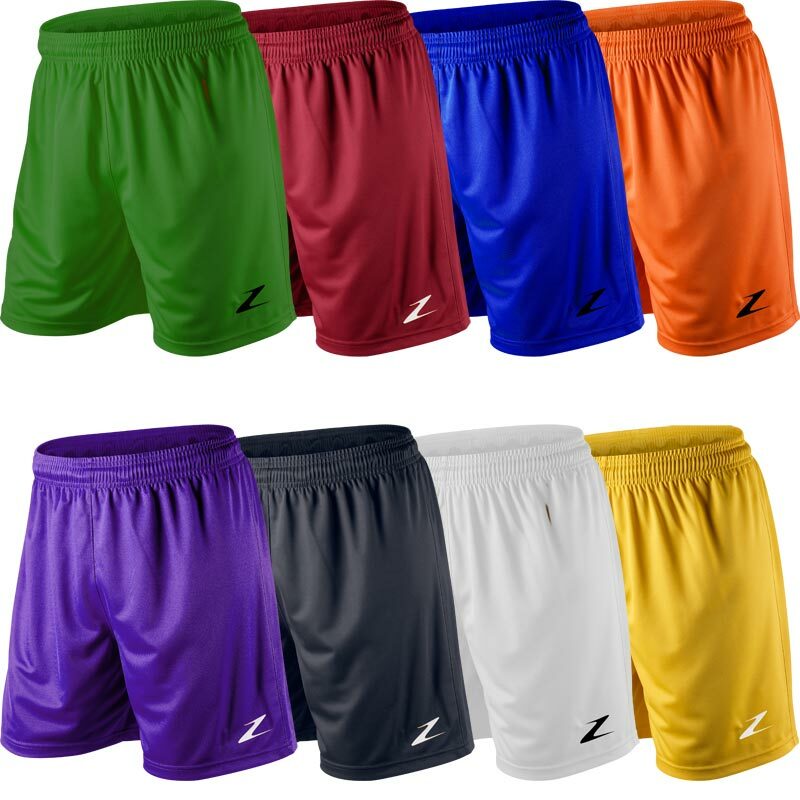 This product is a great fit and was delivered well packed and fast a very good company to by from..
Ziland football shorts were excellent value for money, fit well with good length of drawstring, decent length and didn't hang too loose on the leg. would definitely recommend these. Very pleased with these shorts really comfortable and fast delivery from Newitts online ordering highly recommend company and product ..
Great quality and fit delivered promptly. Plenty big enough for my twin 6 year olds. Will definitely be using newitts again. Bought for skinny 8 year old, internal drawstring is perfect. No see-through stripes like the cheap supermarket ones either. Great customer service and fast delivery (cheaper than most other sports sites). Purchased green and yellow shorts,as alternative to leading brands, for soccer camps and weekly football training. Cant fault them, look great with Club shirt and Ziland and Nike socks. Only a shame I couldn't order Navy for school PE lessons!! But shall check regularly as I shall be using both Newitts and Ziland again. Fantastic shorts for the price. Good qualityand have a good shape. Look good on. Bought 4 of them ...will buy more at this price. Had to find a pair of yellow shorts for a school play for my 5 yr old. Newitts had the best range of colours to choose from as well as the size needed. Shorts were delivered promptly and look as though they will last. Pleased with product and service overall. We have spent 100’s of pounds of your website this season and we are really happy with everything we have bought so far. Everything we have ordered has arrived when we got told they would. The quality of everything is 100%. As the manager of C.P.D Tregarth F.C I am recommending your website to everyone else and I am very happy with everything we have had from newitts.com. Thank you very much. Light and fit for purpose. Decent buy. Good value for money. I am happy with these despite the colour being slightly brighter than I had thought.